When the threats of sea-level rise are discussed, many assume that those at risk are South Floridians who live on the coast, that those of us who live away from the water need not worry. Beware that false comfort. We are all in danger. We’ve all seen the rising water in Miami Beach. Below the surface of our lives are perils many of us do not see — threats to Coral Gables, Sweetwater, Kendall, Miami Gardens, Sunrise, Weston. 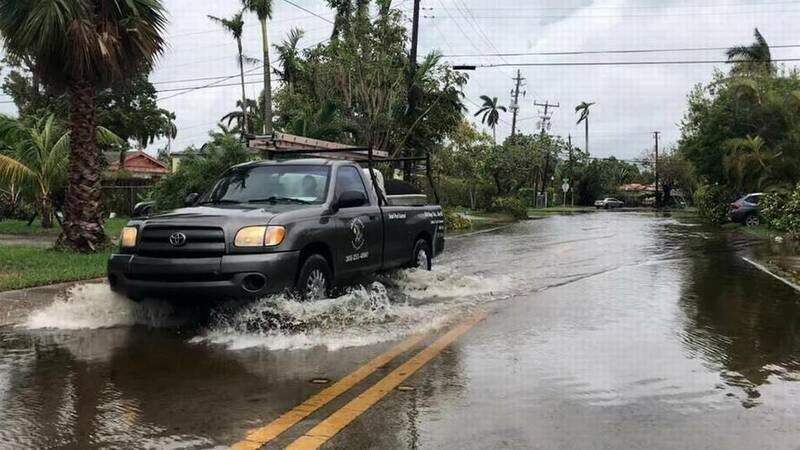 Already, there are signs that salt water is seeping west to the Everglades as the rising tide of the ocean intrudes on land in western Miami-Dade, Broward and Palm Beach counties. As with deadly cigarette smoke, the danger is not just to the smoker — but also to all of those around him. Tens of thousands of septic tanks will or are already being overwhelmed, according to a Miami-Dade County study. As the tanks swell, polluted water has nowhere to escape but into our yards and streets, flooding them with foul water far from the lapping waves of the sea. The new report reveals that malfunctioning septic tanks are already bubbling up in people’s yards and homes. It’s a billion-dollar problem that climate change is making worse, according to a front-page Miami Herald article published last week. We need to take note, and take action. What this means is that sea-level rise is everyone’s problem — and one that will be felt sooner than in 30 years as so many experts have told us. Sounding the alarm was the purpose of an unprecedented 2018 collaboration between the Miami Herald, the South Florida Sun Sentinel and the Palm Beach Post — to warn South Florida residents, elected officials, community and business leaders, and the construction and real estate industries that we must unite and act now to hold back the water. The future of the region depends on it. Preparing for sea-level rise for South Florida must be attacked like the national public relations campaign to end cigarette smoking — like second-hand smoke, the pervasive perils of sea-level rise will be felt in the western reaches of our region, and just as catastrophically as they will on the eastern coasts. The overwhelmed septic tanks are another early sign of trouble ahead. We can already see the serious street flooding during king tides, from Alton Road in Miami Beach to A1A in Fort Lauderdale. As sea-level rise encroaches on South Florida, thousands more inland may soon feel its impact. In Miami-Dade, by 2040, about 64 percent of county’s 67,000 septic tanks could be disabled, affecting not only the people who rely on them for sewage treatment, but the region’s water supply and the health of anyone who wades through floodwaters, the article said. What exactly is happening with the septic tanks? Here’s the explanation: Septic tanks require a layer of dirt underneath to do the final filtration work and return the liquid waste back to the aquifer. Older rules required one foot of soil, but newer regulations call for double that. But in many parts of South Florida, there’s but thin layer of dirt between the homes above ground and the water below. Yikes. Sea-level rise is pushing the groundwater even higher, leaving the once-dry dirt soggy. Waste water doesn’t filter like it’s supposed to in soggy soil. In some cases, it comes back out, turning a front yard into a disgusting swamp, the article said. It will only get worse. We must all realize that climate change is not someone else’s problem. This is further proof that holding back the water is a battle we must all fight, together, to survive.